Home / MOVIE REVIEWS / Movie review: Get ready for "The Love Punch". Movie review: Get ready for "The Love Punch". The Love Punch is a light romantic comedy that focuses on the misadventures of a divorced couple that aims to take back what is rightfully theirs. The movie felt a little predictable and the plot is not as impressive as I expected but I had a great time watching the whole film. 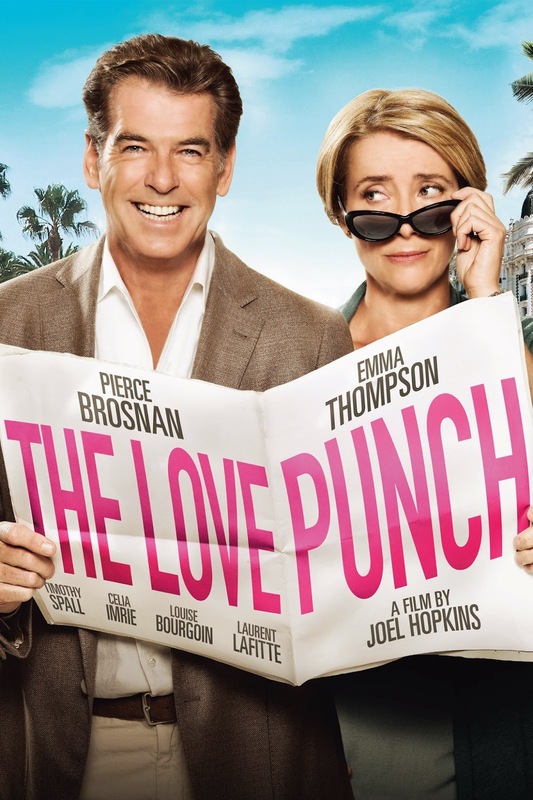 Emma Thompson and Pierce Brosnan star in Joel Hopkins's romantic comedy. The film sees Thompson and Brosnan playing a divorced couple who devise a plan to recover money which has been stolen from them by stealing a diamond in France. The pair embark on a comical adventure which sees them embark on a high speed car chase and scale a rock face on the Cote D’azur. Timothy Spall and Celia Imrie also feature in the movie. The movie is set in one of my favorite places, Paris. It was the perfect setting for this crazy-funny film. Both the main actors in the film were my favorites. It just felt a little weird seeing Brosnan not as energetic as his portrayal in his Bond movies (but he still looks as classy as ever). Thompson gave a wonderful and witty performance that complements Brosnan's. There have been smart exchanges of lines and sometimes cute romantic gestures from the couple. There were funny and unexpected scenes performed by the main cast (Oh I just don't want to put spoilers here). One of the best scenes were the car chase and the ball. I also loved the character of the French receptionist in the hotel that would surely make everyone smile. This film is a must see for movie viewers who just wants to relax and see a light, romantic and funny film. But I must warn you that there would be scenes that are "crazy, stupid... but brilliant!". Here is the official trailer of "The Love Punch".